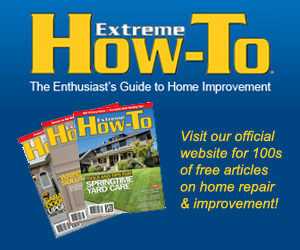 You are here: Home / Extreme How-To / PEX versus PVC, Cold Weather Will Soon Be Here. Is Your Plumbing System Ready? This past weekend wrapped up the traditional end to summer and like many of you, my family spent it on the lake. We have two houses, our main house and the house my dad and I built and that I am still trying to finish. We had extra guests for the holiday weekend. The overflow we would put in the second house, but it has been two years since anyone stayed in it. So I had to check it out before the guests arrived. Have you ever heard that sound your water meter makes when you turn the system back on for the first time following winter? That whirring sound followed by the pitch changing as the pressure builds is what you expect to hear. It’s a bad day when the whirring continues and the pitch does not change. That means no pressure and a main line is open or broken. Upon inspecting the water lines in the basement, I discovered not one line, but all 1/2 PVC lines broken and in many pieces and several one supply lines ruptured. These pipes were shattered, not merely split. The only lines not obviously ruptured were the black plastic 1″ supply lines. I have used PVC and CPVC for many years. But what I am noticing is that after some period of time the PVC becomes brittle. And that is a bad thing. I first noticed this when attempting to cut PVC with shears and having the pipe shatter before the cut was finished. I used my Milwaukee M12 tubing shears to cut off the PVC near the connectors and alas, the pipe shattered and splintered like straw. The plumbing for this house is underneath the house in the basement, so no UV would ever hit the pipe. But still, the pipe was obviously beyond repair. Enter Milwaukee and Uponor. While in Milwaukee for the annual media event, I spoke with Uponor about PEX and we set up a test of replacing a PVC system with PEX. Milwaukee Tools is a major player in plumbing tools and recently I have tested their cutters for tubing, copper and PVC. These tools allow access into difficult, tight, spaces and improve efficiency for plumbers. PEX tubing has a flexibility that offers a distinct advantage over rigid pipes. Rigid pipes rupture in cold weather. Flexible pipes have a margin of flexibility that allows them to expand, therefore better able to withstand freezing temperatures. Uponor makes PEX and its accessories, manifolds, fittings and tools. The one feature I found fascinating, was the use of the expanding attribute and using it to fasten tubing to fittings. Simply put, expand the PEX, insert the fitting and the PEX shrinks back to its original size. No large crimping tools are necessary. I wanted to test the system and review it. I had not planned on having to use it in a real world installation, but that’s the way this cookie crumbled. I replaced my copper and PVC plumbing in another house last year and that installation exceeded my expectations. 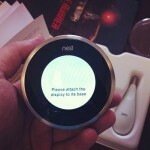 On that installation, I tested the system to far beyond what code requires. The only leaks I found were leaks in copper connectors in the threaded part of the fitting. Once corrected, no leaks and this was on a system with high pressure and on the exterior faucets the water pressure does not pass through a regulator. Think of having a pressure washer by just putting a nozzle on your garden hose and you have the correct mental image of how much pressure. So today i will be ordering some PEX in 1/2″ and 1″ diameters and in the next few weeks I will be telling you about an innovative new tool for PEX installers, along with fittings it can be used with. And I should also point out, that we will be moving the anti-siphon valve closer to the street. The valve was installed downstream of the house shut-off which didn’t allow for proper draining of the plumbing when winterizing the house. All pipes past the anti-siphon valve held water even when the house plumbing drain was opened. The anti-siphon should always be installed, either at the street connection or at least upstream from the main supply cut-off for the system.